Flower design tattoos are the most popular form of tattoos preferred by women. It represents eleg ance and beauty with its ravishing and vibrant colors, patterns and designs. Girls generally get themselves inked with flower tattoos and flaunt it around with pride. The tattoos are stupendous with the variety of designs. 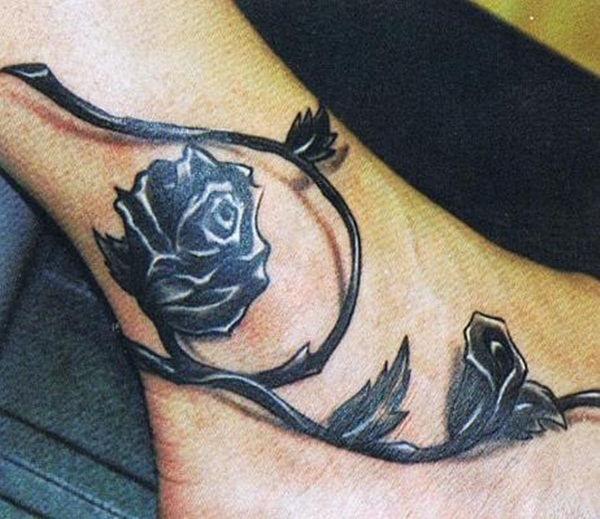 Rose tattoos are the most desirable form of flower tattoos. 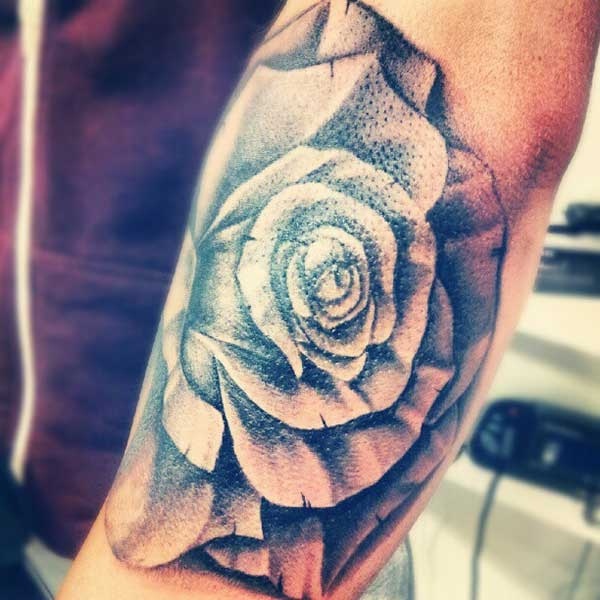 The rose tattoos have gained prominence over the years and have emerged as the most popular floral tattoos. Rosa symbolizes love and passion. Hence women who wish to reflect their penchant for something or someone generally get themselves inked with a rose tattoo. 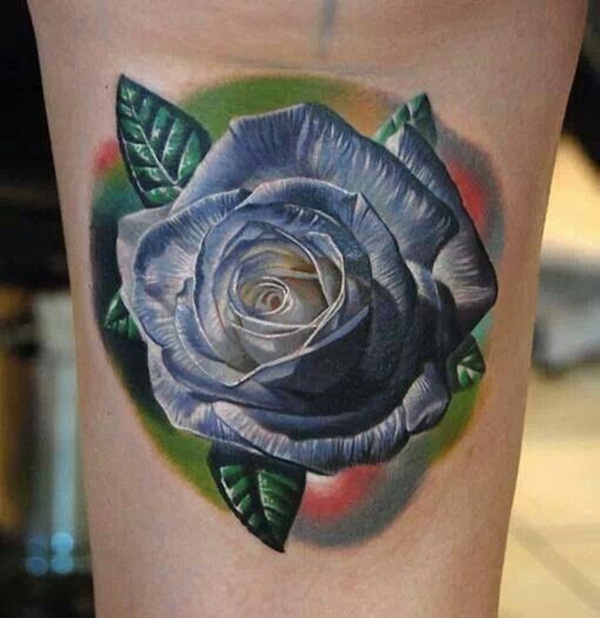 Women hailing from different background get such awesome rose tattoos and by virtue of its varieties it has seemed to the most illustrious and elite tattoo of all. 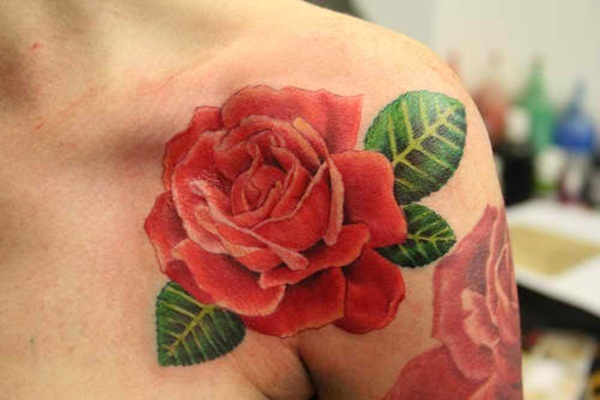 Rose tattoos have earned humongous popularity owing to the different niches it highlights. Its mythological meaning and significance are also kept in mind while getting them embossed. 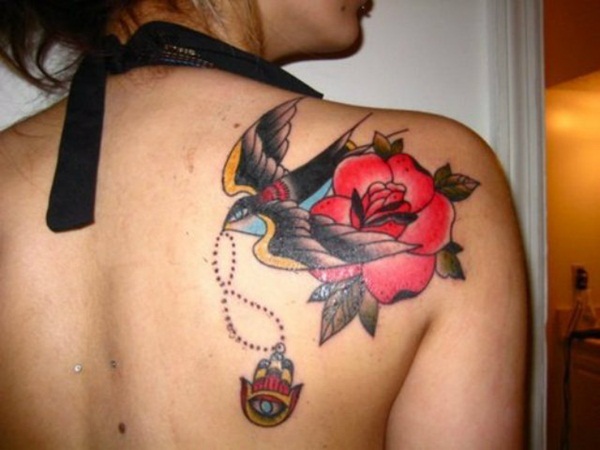 Moreover rose tattoos add to the trend and fad of the current decade and hence most women yearn for it. 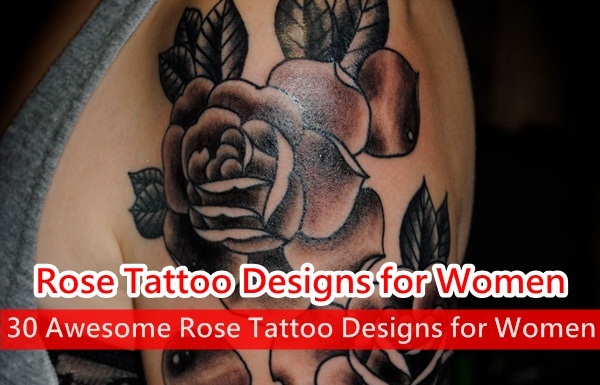 Here are some important details about rose tattoos and its benefits and bane that must be kept in mind while getting it inked on bodies. Rose tattoos generally symbolize deep meanings and hold prodigious significance. It is mainly the symbol of love and emotion and hence people get these tattoos embossed to express love to their beloved like parents, siblings or partners and soul mates. In mythology rose symbolizes culture and legends. There are many stories associated with the ancient mythologies of different countries. In ancient Greece rose is consider very important as goddess Aphrodite who is the goddess of love was prickled by a rose thorn and hence bled on rose. Owing to this rose got its red color. There are numerous such stories to which the beautiful flower is related. Women who stay at distant places from their beloved get inked with rose tattoos to express their love and emotions and bring peace and harmony in their lives. 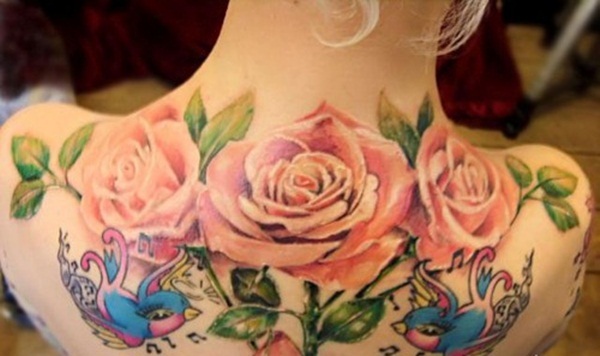 Rose tattoos involve paints of many vibrant and dynamic colors and wonderfully carved designs. However these tattoos are embossed on bodies with different equipment or electrical needles. The needles have sharp edges and pointed heads that may cause agony and pain. Hence there are certain precautionary measures that must be retained in mind. Rose tattoos must be inked from the right place and people who have an expertise in it. Women long for gorgeous designs and are anxious to get it embossed. But if embossed from the wrong place it may spoil the design. 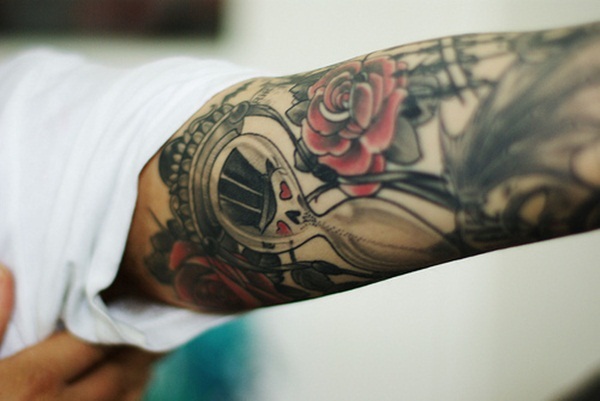 Your knack towards getting a rose tattoo might also wear off. The equipment that are used must be proper and harmless. Only professionals and experts can carve out beautiful tattoos without rendering much pain. 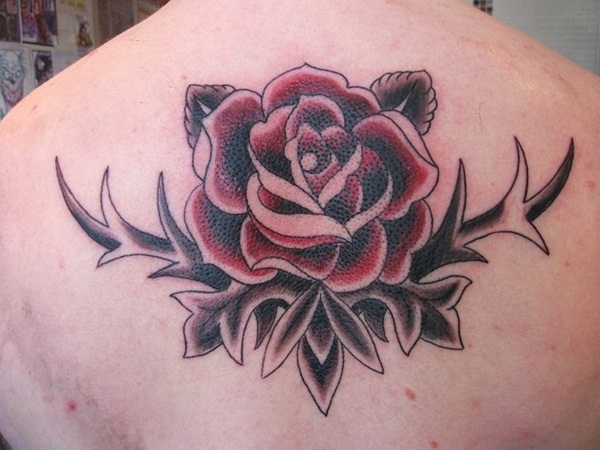 There is a wide variety in the designs of rose tattoos and they can also be amalgamated with numerous other designs. It makes a fantastic display and leaves everyone spellbound with its magnificent combinations. 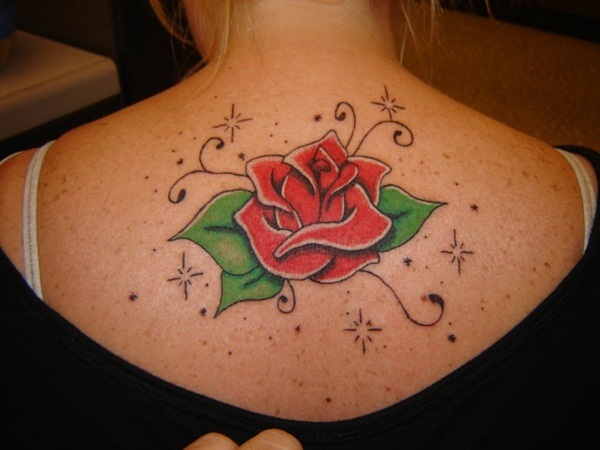 Women get a small design of rose tattoo on their back or shoulder. It is truly elegant with its small and simple design. It oozes the sophistication of the tattoo. There are many rose tattoos in which people emboss names or expressions. Women especially carved out their boyfriends’ or husband’s name in the gorgeous rose tattoos. Rose tattoos are also combined with other floral designs and themes. The petals can cover entire hand and make a beautiful resemblance of ‘Mehndi’. Rose tattoos could possibly be the most simple or the most elegant tattoo of all. Rose tattoos play a major role in expressing emotions but there are certain health concerns related to these wonderful tattoos. The chemicals used in the rose tattoos can be harsh or mild depending on the quality you opt. skin of women are generally delicate and fragile and often sensitive. Hence it is important to get the tattoos from the right person or from an illustrious place where they guarantee the chemicals used for inking the bright and riveting colors. Women are usually bothered about their countenance and appearance. Rose tattoos adorn their body and embellish it marvelous. No wonder a woman with the right taste will get the perfect rose tattoo embossed and win away hearts and attention from a million. Rose tattoos are amazing in its way of depicting beauty and charms and a woman with a choice will grace her with sensational rose tattoos and flaunt with pride.